We made these Cauliflower Snowflakes a few weeks ago. We've been eating a lot of cauliflower this winter. I always liked cauliflower, raw and steamed/boiled, but it wasn't until we started roasting it and flavoring it with combinations of lemon, mustard, parmesan, bread crumbs that I really started to love cauliflower. These Cauliflower Snowflakes are from Ina Garten's Make It Ahead cookbook. 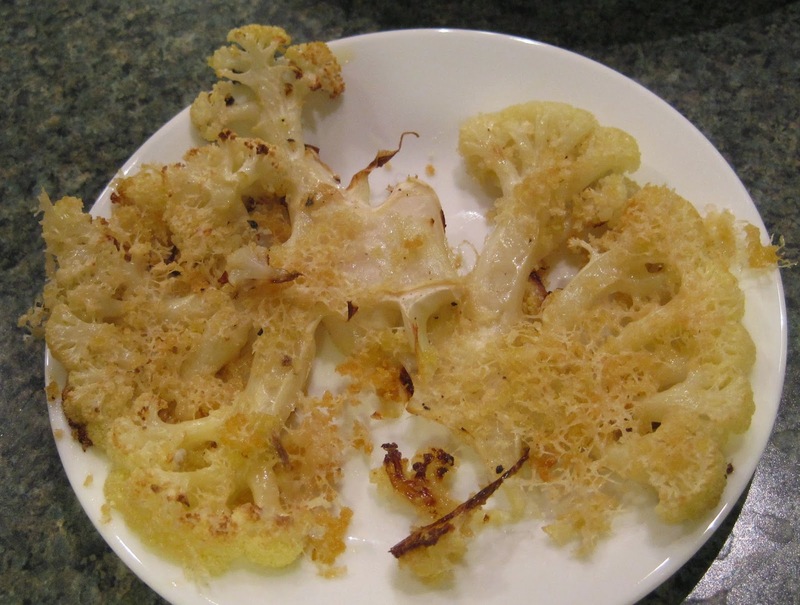 This is just like the Parmesan Roasted Cauliflower we made only with the addition of panko for a nice crunch. These snowflakes are so simple and roast at 425 for 30-35 minutes. I really liked the addition of the panko. So did SP. 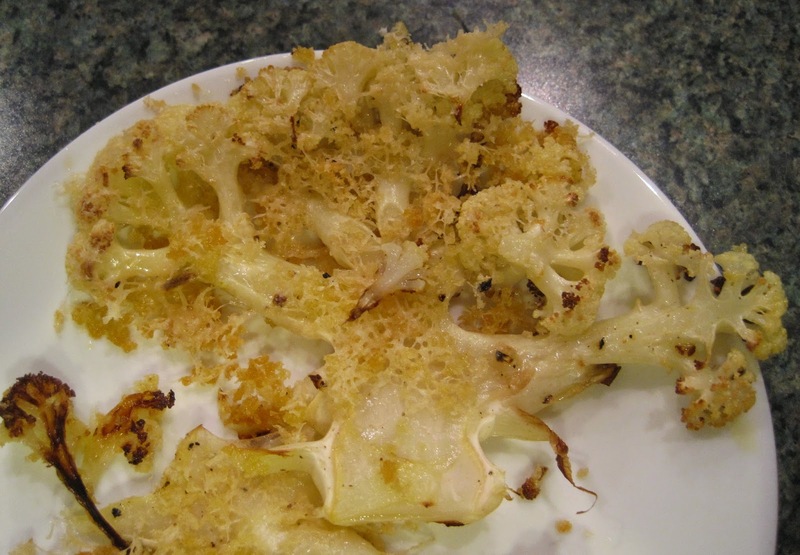 Another great version of roasted cauliflower.